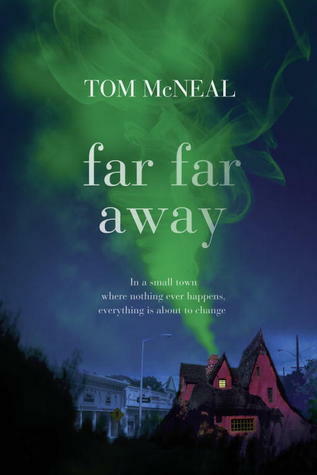 Far Far Away is a teen and young adult friction novel written in 2014. ​It is a twisted tale of love, mystery, and loss. There are three stories intertwined into one. The sad tale of a lost ghost, left behind when he died due to having lived an incomplete life. He now protects and assists Jeremy Johnson Johnson, as he has the ability to hear the ghost. The story of love between the brilliant Jeremy and mystery-loving Ginger also plays its own role, as well as the ever-haunting mystery created by the Finder of Occasions, whose tricks and acts make the book even more thrilling. Spiced is science fiction tale of a future where people can get spliced with animal DNA and get features like claws, feathers, and scales. Jimi’s life changes when her best friend, Del, runs away to do that very thing. Chimeras’ futures are uncertain and there are those who are working to pass a law that makes them officially not people. With all the negative views toward the Chimeras, Jimi goes in search of her friend, a friend who might not want to be found anyway. The Third Twin is a young adult, fiction, mystery book about two sisters, Lexi and Ava who made up a third twin when they were little to take the blame for their actions. Now in high school, they continue the ploy of Alicia to live a "double life". Then it begins to seem as though Alicia is real..photos are taken at places the girls have never been to, people they’ve never met confront them, and a video and DNA of one of them at the scene of a murder forces them to question each other. The police now suspect Alicia of having a connection to the crime…but there is no Alicia.